Podcast Archive — After Nines Inc.
045: Jitterbit CEO George Gallegos on application integration -- blanketing cloud and on-premises systems. Aug. 17, 2015. Click photo. 044: BlueData CEO Kumar Sreekanti on simplifying on-premises big data deployments -- without overhauling your applications to do so. Aug. 10, 2015. Click Photo. 043: Cloudera Chief Technolgist Eli Collins on synergies between Hadoop and Spark for big data applications, and a new project to connect the dots between Python and Hadoop. July 21, 2015. Click Photo. 042: Sysdig CEO Loris Degioanni on new opportunities for monitoring and management -- for Docker and container software. July 14, 2015. Click Photo. 041: Exablox CEO Doug Brockett on scale-out storage trends for unstructured storage management, and key priorities for $23 million in Series C funding. June 23, 2015. Click photo. 040: Glint CEO Jim Barnett on measuring and improving employee morale -- using data-driven tools that reveal insights you can't find elsewhere. June 16, 2015. Click photo. 039: Hortonworks VP of Corporate Strategy Shaun Connolly provides a Hadoop reality check and discusses major trends at Hadoop Summit San Jose. June 9, 2015. Click photo. 038: Clarizen CEO Avi Nowogrodski on why modern day project management needs complete visibility across structured and unstructured data. June 2, 2015. Click photo. 037: MemSQL CEO Eric Frenkiel on in-memory databases for business scalability and big data. Plus, the early data management challenges he witnessed at Facebook. May 26, 2015. Click photo. 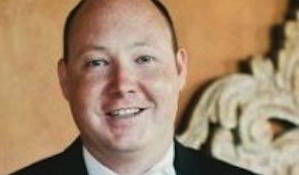 036: MaintenanceNet VP of Global Sales Justin Crotty on how data management and automation can help hardware and software companies eliminate service revenue leakage. May 19, 2015. Click photo. 035: OwnBackup CEO Sam Gutmann on cloud-to-cloud backup for Salesforce.com and ServiceNow, and next steps for his startup business. May 11, 2015. Click photo. 034: Huddle CEO Morten Brogger on cloud-based collaboration trends. April 29, 2015. Click photo. 033: Deep Information Sciences CEO Les Yetton on turbo-charging MySQL database deployments -- and raising $8 million to do it. April 22, 2015. Click photo. 032: Wowza CEO Dave Stubenvall on streaming media strategies, upstarts like Meerkat and Periscope, and more. April 21, 2015. Click photo. 031: Qubole CEO Ashish Thusoo on Hadoop and big data in the cloud. Adoption, technology and user trends. April 14, 2015. Click photo. 030: Silicon Harlem Co-founders Clayton Banks & Bruce Lincoln on their organization's push to transform Harlem, N.Y., into a sustainable technology hub for startups and more. April 7, 2015. Click photo. 029: Board Guru Author Tracy Houston on how to build your startup's board of directors, find the right target members, and balance the power between executives, board members & VCs. Click photo. 028: Alation CEO Satyen Sangani on a new approach to enterprise big data search, emerging from stealth mode, and raising money in a quiet way. March 31, 2015. Click photo. 027: Rubrik CEO Bipul Sinha on raising $10 million (from Microsoft's chairman and others) to disrupt cloud backup. March 24, 2015. Click photo. 026: Qumulo CEO Peter Godman on raising $67 million, emerging from stealth mode, and building a data-aware, scale-out NAS business. March 17, 2015. Click photo. 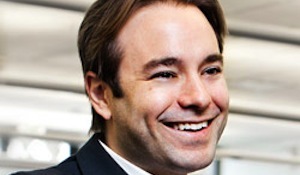 025: Ampdesk CEO Alex Rowland on digital media strategies and when not to raise VC dollars. March 10, 2015. Click photo. 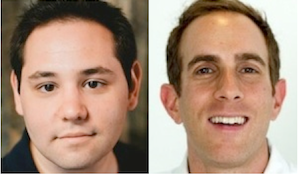 024: TechDay leaders Alec Hartman and Jesse Podell on building an ecosystem for tech entrepreneurs, VCs and angels. March 3, 2015. Click photo. 023: 17hats CEO Donovan Janus on building business automation apps for SoloPreneurs and MicroPreneurs. Plus how he raised $1.25M in seed money. Feb. 24, 2015. Click photo. 022: Axcient CEO Justin Moore on a $25 million Series E funding round; and the difference between cloud backup and business resiliency. Feb. 18, 2015. Click photo. 021: AppDirect Co-CEO Daniel Saks on $50 million Series D funding round; the strategy to make software easy to find, purchase and consume on the web; and five core values that drive AppDirect's business direction. 020: Moogsoft CMO Rob Markovich on service assurance, the stages of DevOps and plenty more. Feb. 11, 2015. 019: mxHero CEO Alexis Panagides on how to converge email and file storage services like Box, Dropbox and plenty more. Feb. 3, 2-15. 018: Distil Networks CEO Rami Essaid on bot networks, business accelerators, raising $10M and building a startup across multiple cloud data centers. Jan. 27, 2015. 017: Techstars Managing Partner David Brown on how tech accelerators fund, mentor and drive startups forward. Jan. 20, 2015. 016: Seismic CEO Doug Winter on raising $20 million to drive sales enablement cloud tools forward. Jan. 13, 2015. 015: Nexercise CEO Benjamin Young on the health app craze and inspiring your customers. Jan. 6, 2015. 014: TrepScore CEO Eric Rice on how startups can more easily analyze the dat they gather and produce. Dec. 30, 2014. 013: Inside Social CEO Brewster Stanislaw on the ROI dollars of social media. Plus, getting your first seed funding. Dec. 23, 2014. 012: Directive CEO Chris Chase on how to groom family members within a fast-growth business -- while also empowering all staff members a well. Dec. 16, 2014. 011: Cloud Nation CEO Steve Ferman on how he acquired the company, driving proper due diligence, and building a business on Amazon's cloud. Dec. 9, 2014. 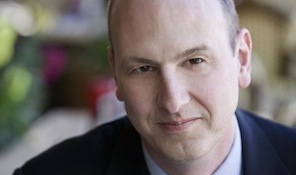 010: SugarCRM CEO Larry Augustin on how to increase your average deal and customer size. Dec. 5, 2014. 009: Cisco Veteran Lisa Marie Jenkins on leaving an IT giant to pursue your dreams. Nov. 25, 2014. 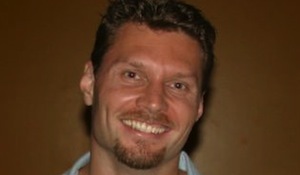 008: Boundary CEO Gary Read on raising venture capital. Nov. 18, 2014. 007: Boundary CEO Gary Read on cloud monitoring for AWS. Nov. 18, 2014. 006: Former Kaseya CEO Gerald Blackie on the his previous & next journey. Nov. 18, 2014. 005: JumpCloud CEO Rajat Bhargava on mastering a cloud pivot while plugging into Microsoft's installed base. Nov. 11, 2014. 004: Work Market CEO Jeff Leventhal on how to leverage an on-demand workforce. Nov. 11, 2014. 003: Zimbra CEO Patrick Brandt on organic growth, driving community through open source, finding the best talent, and sizing up M&A targets. Nov. 4, 2014. 002: Marketing Hacker Tristan Barnum on culture, successful exits (like her Switchvox sale to Digium), and juggling two careers while launching Tellient, where IoT meets Big Data. Nov. 4, 2014. 001: AppDynamics CEO Jyoti Bansal on raising $200 million, pursuing an IPO milestone (but not an exit) -- and redefining an IT market. Nov. 4, 2014. "Good Evening, I.T. Entrepreneurs," produced by After Nines Inc., is a weekly podcast series featuring leading technology CEOs, co-founders and financial advisors. Our candid, detailed conversations educate I.T. entrepreneurs about business development, management, transformation, growth and exits.